I discovered Terrie Todd's first book, The Silver Suitcase when it first came out. I was drawn to the story because it was set during WWII, my favorite era about which to read and write. 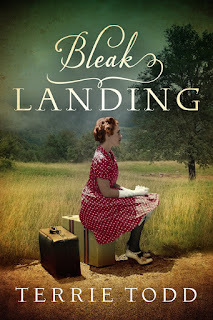 Since then she has come out with two more books, Bleak Landing the most recent. Grab a "cuppa" and get to know this interesting lady. Linda: Thanks for joining me today. I loved your first two books, and recently discovered that you’ve published a third, Bleak Landing. I can’t wait to read it. Here's the book blurb: In the dead-end Canadian town of Bleak Landing, twelve year old Irish immigrant Bridget O'Sullivan lives in a ramshackle house and dreams of another life, even as The Great Depression rages. Routinely beaten by her father and bullied by schoolmate Victor Harrison, the waifish but fiery redhead vows to run away and never return. Just a few short years later, run she does-fleeing the unspeakable repercussions of her father's gambling. In Winnipeg, Bridget lands a job in a garment factory, the first step in her journey to shed her past and begin anew. When her father dies, Bridget-now a striking and accomplished woman-returns home to claim her inheritance. But she has no identification to prove her stake, and no one in town recognizes her-except Victor, who has become a pastor and a candidate for town mayor. Though war has wounded him, his secret affection for Bridget remains, and now he's the only one who can help her prove her integrity. But can he also prove he's a changed man worthy of her forgiveness? As Victor preaches of freedom in faith, will his words spark Bridget's once-hopeless heart and lead her to the life she's been seeking? Where did you find your inspiration for this story? Terrie: Thanks so much for inviting me, Linda! Bleak Landing began with a mental image of a young girl locked in an outhouse on a hot day during the Great Depression and went from there. Parts of the story were also influenced by Downton Abbey, even though my story is set a few years later and in Canada, not Great Britain! LM: The age old question for writers – are you a planner or a “panster,” and what is your favorite part of the writing process? Terrie: Definitely a pantster. When I try to plot it out, I either lose interest because I already know what happens, or I deviate so much my original plan is unrecognizable. My favorite part is the editing. Laying out that first draft is grueling, and makes me feel like a cotton headed ninny muggins. But once that’s down and I’ve got some feedback from others—especially after the professional editors get their hands on it—I love making improvements and polishing the story. LM: You write historical fiction which requires an extra layer of research to ensure accuracy about the era. How did you go about researching Bleak Landing and did you discover any extra special tidbits of information? 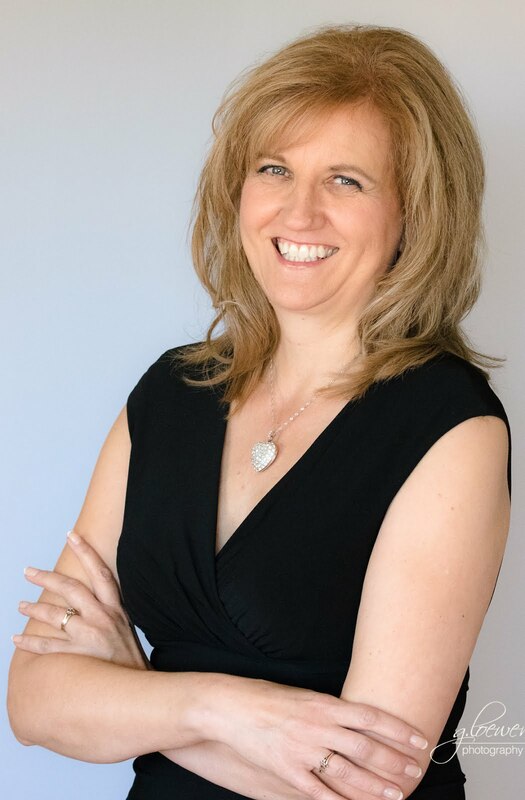 Terrie: I first realized I might have a knack for writing when people began telling me how much they looked forward to our family Christmas newsletters. For years, I was the drama director at my church and wrote numerous plays and sketches for the team, some of which were later published. I began writing my first novel in 2009, the year I turned 50, just to see if I could. The road to publication was long and littered with “close, but no cigar” results in contests. While I waited and learned more about the industry and studied the craft, I took on a weekly “faith and humor” column in our local newspaper. Six-plus years of column-writing has taught me much about meeting deadlines, connecting with readers, and writing tight. I also sold a couple of plays and eight Chicken Soup for the Soul stories during that time. When my first novel finaled in the Christian Writers Guild’s Operation First Novel contest two years in a row, it drew the attention of an agent (Jessica Kirkland) who signed me and eventually sold the book to Waterfall…who then published my next two books as well. Terrie: At the risk of sounding cliché, I can’t imagine anything better than escaping a cold Canadian January to lie on a warm beach in Hawaii or Jamaica. So far, imagining it is all I’ve managed. One Secret. Three Sisters. One longs with all her heart to know the truth. One simply wants the truth to go away. And one is desperate to keep the truth hidden forever. Waterfall Press has discontinued its fiction line, so my agent is in the process of finding us a new publisher for this fourth book.